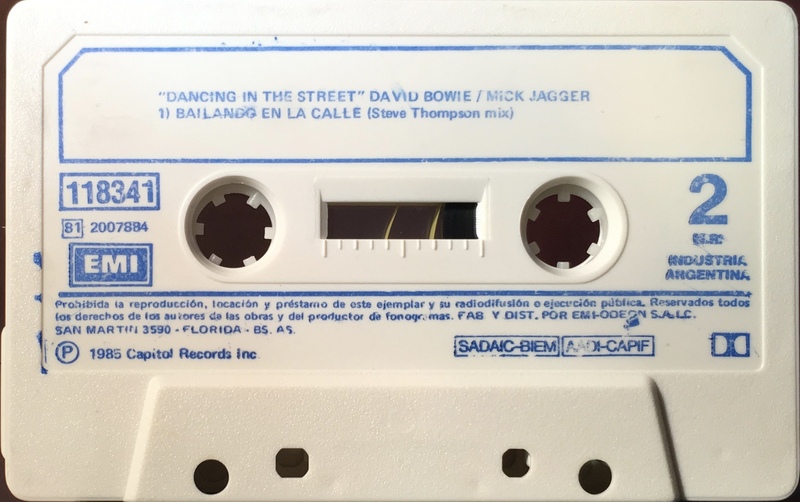 Dancing In The Street: Argentina; EMI America, 118341/ 81 2007884; 1985. Black bordered cover picture with black spine and rear and panel on folded, glossy paper. Track list on rear and inside panels. 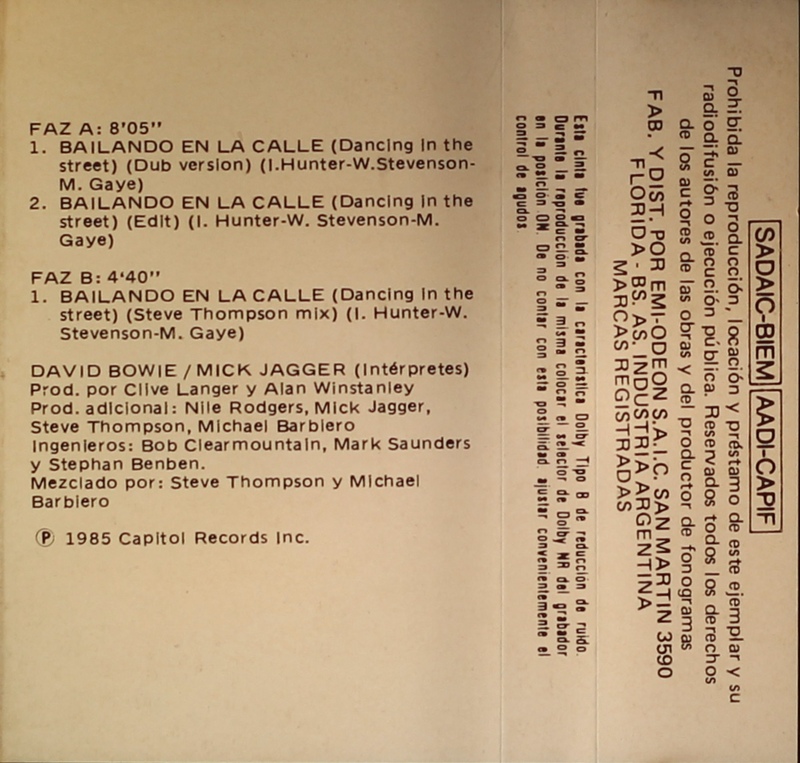 Information in Spanish, titles in Spanish and English except on the rear panel where they are in Spanish only. Blue ink printed directly onto white shell with information in Spanish and titles in Spanish and English. SADAIC-BIEM and AADT-CAPIF rights on shell. 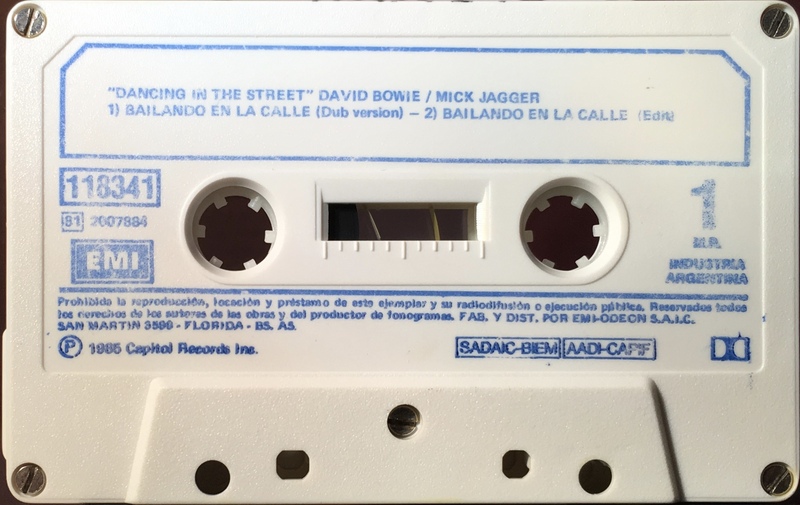 Side 1: Bailando En La Calle (Dancing In The Street) (dub version); Bailando En La Calle (Dancing In The Street) (edit). 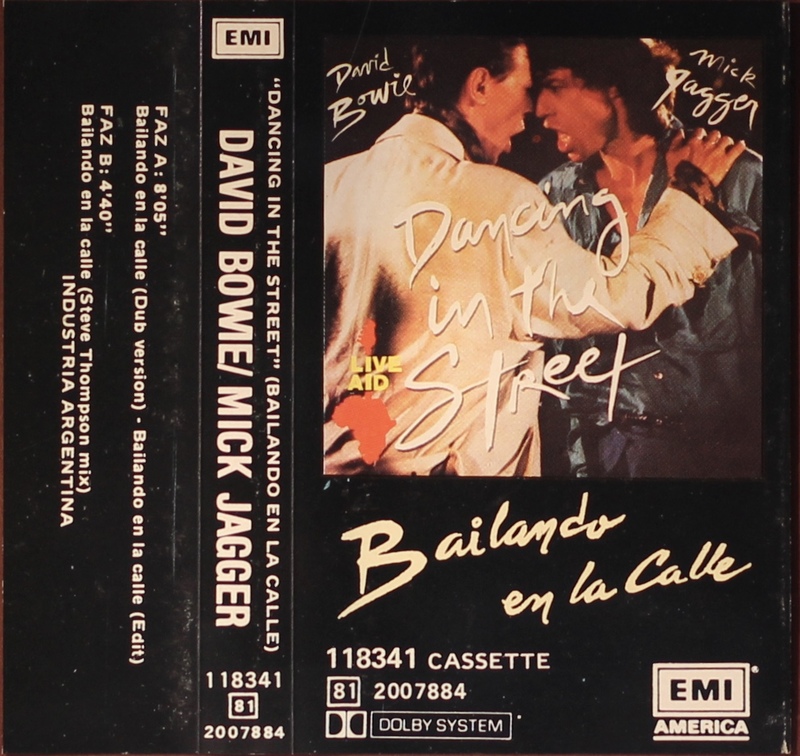 Side 2: Bailando En La Calle (Dancing In The Street).